Together with Pathfynder Survival and Bushcraft School in Holland we are now putting together a weeklong international course. We have been working together on weeklong courses for the last 2 years together in both Dalarna and Varmland, but now I thought it was time to let people experience my Småland. This course will be set in the dark forests of Småland in Sweden and the language spoken will be English, making it possible for more people to be able to take part. 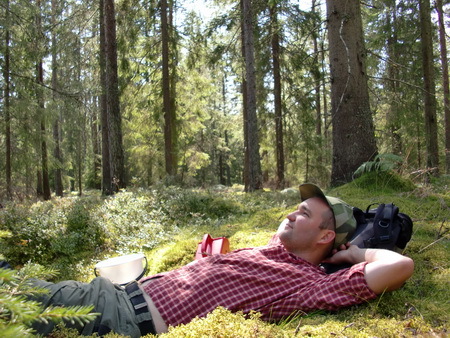 We are now working hard to sort out many of the detail of the course but what we can reveal already now is that on this you will learn the skills needed to travel and live in the Swedish forests. It will be a combination of hiking and canoe paddling and wilderness living skills. The course will be called “Skogsfärd” this is the Swedish word for travel through the forest. We will release more and more info about this course during the spring. This course will be set during a week in june or july 2011. Are you interested in booking this course, send us an email and we will make sure you get first chance once the course is released. Detta inlägg postades i Nyheter den februari 7, 2011 av Johan, Nordic Bushcraft.